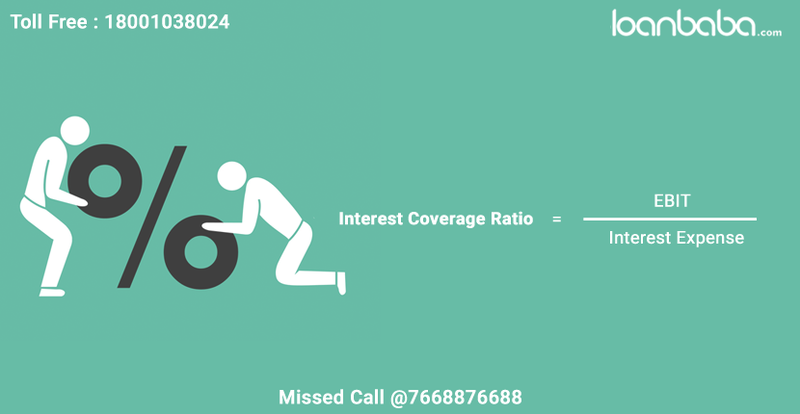 How to Calculate Interest Coverage Ratio? The debt ratio which helps the company/ investors to determine how easily the interest is paid on a certain debt is known as Interest Coverage Ratio. It is also considered to be a profitability ratio by some financial experts. Interest coverage ratio is calculated by dividing EBIT (Earnings before Interest and Taxes) over a certain period of time by the amount that needs to be paid by the company as interest for that period. Interest is levied on debt which needs to be repaid timely in order to avoid proceedings and accumulations, both of which are not good for any company. Hence the company is more worried about it and Interest Coverage Ratio helps one to know that over how many times a company is capable to pay its interest outstanding with the available income. The ratio depicts the margin of safety for the company as far as the interest payment is concerned. A firm’s higher Interest Coverage Ratio also depicts financial solvency, which plays an important role in share prices. For example, if a company has earnings of 10 lakh in first quarter of 2016-17 with an outstanding interest payment of 20000 per month, the Interest Coverage Ratio will be calculated by dividing earnings by interest payment after rationalizing them to quarter from month. Interest Coverage Ratio = 10, 00,000/ (20,000*3) = 16.667 times. Additional Reading: What is Current Ratio? If a company has Interest Coverage Ratio of 1 or below 1 is clearly not generating sufficient revenues which can meet interest expenses. In such a case the company needs more funds for which cash reserve can be used or a new sum needs to be borrowed. The company in such a case is very near to the event of bankruptcy. As a general practice, 2.5 are taken to be warning signal. How to Apply Interest Coverage Ratio? It is very obvious that borrowing creates debt and interest; it affects the overall profitability of a company as it helps building capital assets for the company. The firm needs to be very diligent while taking decision of a borrowing as the capacity of repayment needs to be assessed so that there may not be any problem in the future regarding the repayment of loan and its interest. For this purpose, the Interest Coverage Ratio acts as a good indicator which also shows that the company is capable of paying off the debt too. Large corporate generally have a high Interest Coverage Ratio as well as huge borrowings too, but they still keep borrowing more and more as they are capable enough to pay large sums as interests. Businesses my survive for years and years even if they don’t pay the debt portion but keep paying the interest regularly as interest portion plays a big role in debts. However this practice works for big companies and corporate but it can prove wrong for small businesses. Paying off debt along with the interest is advisable since the loan keeps decreasing and is then easy to be handled.